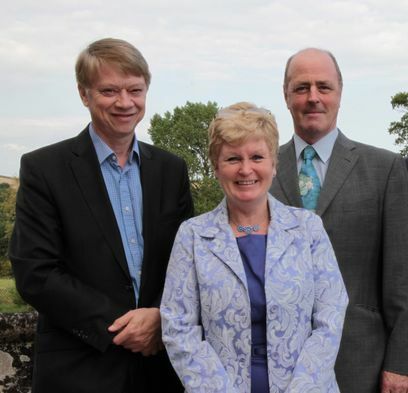 Witt Energy is raising £750,000 investment on Crowdcube. Capital At Risk. Additional equity is issued when a pitch is overfunding. Because of the number of conversations that Witt is still having with specific investors from both the UK and also abroad, who want to invest but require an extra few days to provide the necessary paperwork the campaign is extended until midnight this Saturday. 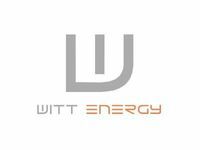 Witt Energy needs your vote! Richard Branson's VOOM 2016 is open and Witt Energy has entered into the start-up category, (fresh and exciting businesses that are in the early stages), and your vote could see WITT pitching to place a prototype on Necker Island. Cast your vote for Witt Energy here. Chaired by Admiral Sir James Burnell-Nugent KCB CBE, the former Royal Navy Commander-in-Chief, Witt’s revolutionary patented energy harvester converts any motion on land, sea and air into electricity. From ocean power grid scale devices down to golf-ball sized units for consumers, Witt’s plan is to develop their technology for multiple applications. Global companies are working with them on their first product. Investments of this nature carry risks to your capital as well as potential rewards. Please read our risk warning and disclaimer before deciding to invest. Join today to own a stake and share in the future success of ambitious British businesses you believe in. Why invest in British businesses? Investing in early-stage businesses, although risky, can also be very lucrative if you do your due diligence and spread your investment and risk across multiple businesses. You may benefit from generous tax relief of up to 50 per cent where EIS or SEIS is eligible. Make a difference and share in the success of British businesses that you believe in. Help them grow, create jobs and make an economic impact. Keep up-to-date with the progress of the businesses you back through our dedicated investor relations portal. It only takes a minute to join and then you'll be able to see the full pitch. If you choose to invest we won't take your money until the pitch closes and you can cancel your investment at any time. Invest alongside Europe's leading venture capital firms, seasoned professional investors and the UK Government. Eden Project, River Cottage, JustPark, easyProperty and Sugru are just a few of the well-known British companies who have raised more than £100m from our 200,000+ investors. Our legal, financial and investments team check the pitches on Crowdcube to ensure every one is fair, clear and not misleading. Investing in start-ups and early stage businesses involves risks, including illiquidity, lack of dividends, loss of investment and dilution, and it should be done only as part of a diversified portfolio. Crowdcube is targeted exclusively at investors who are sufficiently sophisticated to understand these risks and make their own investment decisions. You will only be able to invest via Crowdcube once you are registered as sufficiently sophisticated. This page is approved as a financial promotion by Crowdcube Capital Limited, which is authorised and regulated by the Financial Conduct Authority. Pitches for investment are not offers to the public and investments can only be made by members of crowdcube.com on the basis of information provided in the pitches by the companies concerned. Crowdcube takes no responsibility for this information or for any recommendations or opinions made by the companies. These Investor Terms are entered into between Crowdcube Capital Limited ("Crowdcube") of South Entrance, Fourth Floor, Broadwalk House, Southernhay, Exeter, EX1 1TS, with the company number 09095835. which is authorised and regulated by the Financial Conduct Authority (the "FCA") (No. 650205), and any person (the "Investor") who wishes to subscribe for shares, debt securities or units in funds offered by an investee company or fund (the "Investee") in response to an investment proposition ("Pitch") made by the Investee via the website, mobile application or other means of accessing the Pitch, located at www.crowdcube.com (the "Website"). Crowdcube provides services relating to the arranging of the investment by the Investor in shares, debt securities or units in funds in or offered by the Investee (the "Investment"). These terms apply to all Investments made on Crowdcube by the Investor from time to time. These terms may be updated from time to time so Investors should check the terms and conditions each time an Investment is made via a Pitch. 1.1.5 any legal agreement presented on a Pitch (which may be with the Investee rather than Crowdcube), specific to a particular Investment that an Investor applies to invest in, including without limitation, the applicable bond instrument on a mini-bond pitch page, any applicable prospectus that may be presented to Investors or any applicable Fund Investment Agreement that may be presented on a Fund Pitch page. 1.2 In the event of a conflict between these Investor Terms and any prospectus or Fund Investment Agreement on a pitch, the prospectus or Fund Investment Agreement shall take priority. 1.3. 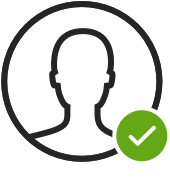 In order to use the Crowdcube platform, the Investor acknowledges that they must successfully complete Crowdcube's on-boarding process, including Investor Assessment Questionnaire where applicable, and the Investor agrees that Crowdcube will rely on responses and confirmations given as part of the on-boarding process, which form part of the terms on which Crowdcube provides services to the Investor. 1.4 Investments are not offers to or open to the public and investors' agreement to these terms and conditions signifies they agree that the offer was not open to the public and that they are only able to invest in an investment product after becoming a member of Crowdcube. Registration and agreement to these terms and conditions allows membership, which Crowdcube may terminate alongside and in accordance with this agreement. 1.5 Notwithstanding anything to the contrary in these Investor Terms, where a Pitch states that investments and share subscriptions in an Investee will be made via a nominee, the subscription for the legal title of the shares in the Investee will be made be made by Crowdcube Nominees Limited (company number 09820478) (the "Nominee") with the beneficial interest being held by the Investor. The Investor appoints Crowdcube on the terms of the Investor Nominee Terms in the Schedule to these Investor Terms to administer the holding. Any provisions and terms in these Investor Terms impacted by such a nominee structure, including without limitation, references to orders, subscription, shares, shareholding and shareholder shall be interpreted accordingly to give effect to the nominee structure. In these circumstances, the nominee company shall be the legal owner of shares in the Investee and registered on the share register of the company rather than the Investor. 2.1. In registering on the Website (the "Registration Process") the Investor represents, warrants and undertakes that they are an individual who is at least 18 years old and a resident of the United Kingdom or a country where you may legally receive financial promotions of the nature provided by Crowdcube, and are legally entitled to invest in the investments offered. The Investor acknowledges that any investment opportunity is only available in a country or jurisdiction where it is lawful to access investment offers and to make investments and in circumstances where it is lawful for the Investor to receive the offers for investment on www.crowdcube.com and to make investments and where no local or national restrictions exist applicable to the Investor which would make viewing Pitches or investing unlawful. The Investor acknowledges that Pitches are not offers to the public in the United States or other countries where such an offer may be unlawful or require the Investee or Crowdcube to be registered under such countries securities laws or otherwise. and undertakes to keep the same up to date and notify Crowdcube of any changes. 2.3. The act of complying with clause 2.2 above, shall constitute express written confirmation from the Investor to Crowdcube that the email address he/she has provided to Crowdcube may be used for the purpose of receiving notices or communications from Crowdcube and any Investee in electronic form and to Crowdcube or any Investee making information available on a website, and requesting that Crowdcube provide a copy of this confirmation to the Investee. 2.4. The Investor shall comply with such identification and other anti-money laundering requirements that Crowdcube may from time to time require. In particular, Crowdcube may require identification of Investors and information about the sources of funds being provided by the Investor in investments Crowdcube considers in its sole discretion to be substantial. 2.5. Crowdcube reserves the right to refuse in its absolute and sole discretion to permit an Investor to invest or subscribe for debt securities in an Investee. 2.6. In registering on the Website, the Investor confirms his/her consent to his/her username being publicised as an Investor in the Investee. 2.7. The Investor may only invest in an investment for himself in his/her own name and shall ensure that all orders for the investment made through the Website are made exclusively on his/her own behalf. 3.1. Investors must classify themselves as either a (i) certified ‘high net worth investor’, (ii) certified ‘sophisticated investor’, (iii) self-certified as a ‘sophisticated investor’ or (iv) certified restricted investor, in each case in accordance with the FCA’s Conduct of Business Sourcebook Chapter 4.7. 3.2 Crowdcube has classified the Investor as a retail investor for the purposes of FCA Conduct of Business Rules. If you wish to change your classification you must immediately notify Crowdcube to request a different classification. 3.2. The Investor acknowledges that Crowdcube will not supply confirmations of any orders, and/or resulting transactions, and that the investment confirmation email (as outlined below and referred to as the "Cooling Off Email") shall be sufficient and adequate reporting of the service of arranging the reception and transmission of orders and the arranging of resulting transactions, provided by Crowdcube in accordance with the FCA Handbook, Conduct of Business Rules, Rule 16.1.1, and hereby consents to the same. 4.2. The Investor acknowledges that ancillary charges or fees may be payable to third parties in connection with the Investment, and acknowledges that such charges or fees are not associated with these terms. The Investor warrants to Crowdcube that it shall pay such fees or charges and shall indemnify Crowdcube against any loss, liability, cost or expense resulting from the same. 5.1. The Investor will be entitled to place a revocable order to subscribe for shares, debt securities or fund units in an Investee in any Pitch on the Website for a period (the "Offer Period") ending on the date specified by the Investee on the Pitch which may be updated from time to time and Crowdcube reserves the right to end Pitches early or extend the Offer Period in its absolute discretion. The subscription agreement for the investment is between the Investor and Investee such that the offer from the Investor is to the Investee and not to Crowdcube. The Investee may accept or reject any order up until expiry of the period set out in the email as set out in clause 5.3 below. Crowdcube is not a party to the agreement to invest between the Investor and Investee and Crowdcube’s service is limited to arranging the investment. 5.2. The Investor shall put in place payment arrangements to ensure that the Subscription Price and the Investment Fee is paid in accordance with clause 5.7 below. This may require the Investor to agree to a payment service provider’s terms and conditions or otherwise provide satisfactory evidence of payment to Crowdcube. It is the Investor’s responsibility to ensure that any such payment arrangements are established and maintained and that monies are transferred in accordance with clause 5.7 below. 5.3. If a Pitch is successful, the Investee will instruct Crowdcube to circulate a copy of the Investee's proposed Articles of Association, bond instrument or fund documentation to each Investor by email, and to request that each Investor inform Crowdcube by email within the time period specified in the email if they no longer wish to proceed with the Investment. 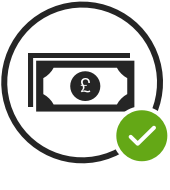 If Crowdcube receives no response from the Investor within the specified time period, the Investor will be deemed to have confirmed his/her order and the Investee will accept his/her order and such order will become a legally binding contract to invest between the Investee and the Investor upon expiry of the time period set out in the email, with completion of the investment conditional upon the Investee receiving payment from the Investor and subject to the completion conditions set out in clause 5.5 below. The Investor agrees that the contract to invest between the Investee and Investor formed in accordance with this clause shall incorporate any warranties given in the legal review document (the “Legal Review”) attached to the email sent by Crowdcube to each Investor pursuant to this clause (the “Warranties”), subject to the terms and limitations of such Warranties as set out in the Legal Review. 5.4. If for any reason the confirmation email is not received by an Investor or an Investor’s response to the confirmation email is not received by Crowdcube (whether this is known or notified to Crowdcube or not), otherwise than as a result of fraud or gross negligence by Crowdcube, Crowdcube shall not be liable to the Investor or the Investee for any losses, claims or damages suffered by the Investor, and Crowdcube shall be entitled to proceed on the assumption that the Investor has received the email and wishes to proceed with the Investment. 5.5.4 payment of all fees and commissions due from Investee to Crowdcube. 5.6.2: determine that the investment opportunity is cancelled, either before or after the expiry of the time period in the confirmation email. In these circumstances, if the time period set out in the confirmation email to investors has expired, the contract to invest between the Investee and Investor shall not complete and there shall be no legally binding contract between the Investee and Investor. Clause 5.8 below shall apply in these circumstances. 5.7. If a Pitch is successful, when the Investor places an order to subscribe for shares in an Investee, and subject to non-revocation at expiry of the confirmation email, an agreement shall then subsist between the Investor and the Investee, or a third party on behalf of the Investee, to transfer the subscription price for the relevant Investment (the "Subscription Price") to the Investee. Shares, debt securities or units in the Investee will be issued to the Investor by the Investee and the Subscription Price will be transferred to the account of the Investee following the end of the Offer Period and the Investment Fee will be transferred to Crowdcube. If the Pitch is not successful or any completion condition set out in clause 5.3 or 5.5 is not satisfied, then no such agreement between the Investor and the Investee shall arise. 5.8. If the Pitch is unsuccessful or the order not completed for any reason, the Investor's order will not be transferred to another Pitch or Investee, and no substitute service will be provided. The Investor confirms that should an Investee not ultimately attain the stated desired target level of investment as set out in its Pitch, through withdrawals after the expiry of the Offer Period, or failure by other Investors to transfer the Subscription Price to the Investee, neither the Investee nor Crowdcube is required to inform the Investor of this failure, and the Investor may still be required to purchase the shares he/she ordered, provided that the conditions in clause 5.3 and 5.5 are met. If the conditions in clause 5.3 or 5.5 are not satisfied for any reason, the agreement for investment between the Investor and Investee will not complete and Crowdcube will use its reasonable endeavours to arrange for the Investee to cancel the Investment made by the Investor and, if payment has already been made, require the Investee to return the Subscription Price to the Investor. The Investor consents to Crowdcube releasing such information as is reasonably necessary, to the Investee to allow such return of the Subscription Price, and the Investor undertakes to co-operate with Crowdcube and the Investee, including in relation to any transaction fees or charges, to facilitate the cancellation of the Investment and the return of the Subscription Price. 5.9. The terms relating to the provision of any rewards for investment advertised on the Pitch shall constitute part of the agreement formed between the Investor and the Investee pursuant to clause 5.7. Crowdcube shall not be responsible for the provision of such rewards and shall not be liable for any delay or failure of the Investee in the provision of such rewards. 5.10. The Warranties are made by the Investee to the Investor. Crowdcube accepts no responsibility for enforcing any Warranties. Any Investor who seeks to enforce any of the Warranties shall bear all costs incurred in connection with such enforcement. 5.11. At any time prior to the expiry of the period specified out in the email sent by Crowdcube pursuant to clause 5.3 above, Crowdcube may cancel any order of Investment made by the Investor that Crowdcube deems, in its absolute discretion, to be malicious or otherwise detrimental to Investee or Crowdcube. This includes, without limitation, Investments placed for the purpose of disrupting or causing the closure of the Investee’s Pitch where the Investor has no intention of paying the Subscription Price. The Investor shall indemnify Crowdcube for any loss, liability, cost or expense incurred by Crowdcube in connection with the removal of an Investment pursuant to this clause. 5.12.3. a spouse, Civil Partner, parent, child, sibling of any person included in the categories set out at clauses 5.12.1 and/or 5.12.2. 6.1. Investors are encouraged to ensure that arrangements are put in place for their next of kin to be informed of their order and the Crowdcube process, and that instructions are provided to enable the Investor's order to be withdrawn before it is converted to an irrevocable order on the occurrence of the Investor's death, insolvency or incapacity. Crowdcube accepts no responsibility or liability for orders not being withdrawn before being converted to a firm order through the failure of the Investor to put in place such an arrangement, or the failure of the next of kin to communicate a withdrawal. 6.2. Investors, or in accordance with clause 6.4, their next of kin, are entitled to withdraw their order at any time prior to it becoming a firm order upon the expiry of the confirmation email as set out in clause 5.2 above. 7.1. The Investor acknowledges that, as a consequence of him/her becoming a shareholder of an Investee, he/she shall be subject to the provisions of the Investee's Articles of Association (which constitute an agreement between all of the Investee's shareholders), bond instrument or fund investment agreement, which Articles of Association, bond instrument or fund investment agreement will include certain restrictions on the shares, bonds or fund units issued and certain rights and obligations will attach to such shares, bonds or fund units and fund investments. 7.2. The Articles of Association will be in the form notified to the Investor by Crowdcube in the confirmation email referred to in clause 5.3 above and/or as set out on the Pitch and may be subject to other documentation or disclosures. 7.3. The Investor acknowledges that, as a consequence of him/her becoming a bondholder of an Investee, he/she shall be subject to the provisions of the Bond Instrument or other debt instrument and associated terms and conditions of the particular debt security (which constitute an agreement between each bondholder and the relevant Investee) which will include certain restrictions on the debt securities issued and certain rights and obligations will attach to such debt securities. 8.1. The Investor acknowledges that Crowdcube's affiliates, and/or the proprietors, officers or employees of Crowdcube and/or such affiliates may consider expressing interest or subscribing for shares in an Investee. If the Investor becomes aware of this, he/she agrees not to rely upon the same in making a decision whether to invest in an Investee, and confirms that any decision by him/her to invest in an Investee is not based upon any representation, information, action, omission or otherwise of Crowdcube, its subsidiaries or affiliates or the proprietors or employees of Crowdcube, its subsidiaries or its affiliates. 8.2. The Investor acknowledges that Crowdcube approves each Pitch as a financial promotion but does not provide advice or any form of recommendation regarding the suitability or quality of the Investment. The Investor acknowledges that the approval of the Pitch as a financial promotion by Crowdcube, or the investment in an Investee by any person referred to in clause 6.1 is not an indication of approval of the Pitch generally, and the Investor confirms that it shall take no inference from or make any reference to the same. 8.3. The Investor acknowledges and accepts that the Website includes a forum which is an integral part of an Investee's Pitch which is intended as a service to Investees to put them in contact with Investors, and thus that Crowdcube's investigation of the Investees and the content of their Pitches is limited, and accordingly Crowdcube makes no warranty or representation and assumes no liability in respect of the Investees or the content of their Pitches. The Investor must make his/her own assessment of the viability, accuracy and prospects of the Investees, their Pitches, and any relevant investment propositions and should consult his/her professional advisers should he/she require any assistance in making such an assessment or should the Investor require any services whatsoever in connection with Crowdcube. In particular, the attention of the Investors is drawn to the disclaimer, risk warning and regulatory notice on each Pitch. 8.4. The Investor warrants, represents and undertakes to Crowdcube that (i) the Investor has categorised himself or herself correctly under clause 3.1 above; (ii) shall comply with any terms and conditions associated with the use of the forums on the Website, and in particular undertakes not to post any illegal, defamatory or inappropriate material or advice to invest and acknowledges that Crowdcube will in its absolute discretion have the power to determine whether posts by Investors breach this clause 8.4 or are otherwise inappropriate and may be removed by Crowdcube. 8.5. The Investor acknowledges that Crowdcube does not provide the Investor with any advice or recommendations in relation to investments. Nevertheless it is typically considered prudent for Investors to consider spreading their risk over multiple investments and Crowdcube encourages this approach. 8.6. The Investor acknowledges that in approving the Pitch as a financial promotion, Crowdcube has concluded that the Pitch, taken as a whole in the context of the above, is fair, clear and not misleading. The Investor acknowledges that Crowdcube has reviewed any factual statements included within the Pitch and obtained evidence of their accuracy from the Investee. However, the Investor's attention is drawn to the fact that the evidence is obtained from the Investee itself and has not been audited by Crowdcube, which means that it may contain inaccuracies, be incomplete or be a forgery. 8.7. The Investor acknowledges that Crowdcube has checked that aspirational statements contained within the Pitch are phrased appropriately in light of their speculative nature. However, the Investor acknowledges that the Investee is likely to be a start-up company and as such may have high ambitions which may be unachievable and exaggerated. The Investor acknowledges that Crowdcube may approve statements that convey those ambitions even where it does not believe, or does not have a view on whether it is likely, that they will be fully realised and the Investor acknowledges that Crowdcube encourages Investors to consider the information provided in the context it is being provided. 8.8 The Investor acknowledges that Crowdcube makes no representation, warranty or undertaking relating to any claims made by Investees, including, without limitation, that the Investee and the Investment will qualify for or be subject to any tax benefits such as EIS and SEIS or that these tax benefit are pending approval of HMRC. Investor acknowledges and agrees that tax benefits may change or be disqualified and shall not hold Crowdcube liable for any loss arising as a result of a tax benefit (including , without limitation EIS or SEIS) not applying to an Investment, including without limitation in circumstances where tax has been ‘clawed back’ from an Investor by HMRC. 8.9 The Investor acknowledges that tax treatment depends on the individual circumstances of each Investor and may be subject to change in future. 8.10 Nothing in this Agreement shall exclude or limit liability for death or personal injury resulting from the negligence of either party or their agents or employees nor for fraud by or on behalf of either party. Nothing in this Agreement shall limit any liability to the extent that liability may not be excluded or limited by any applicable law or regulation. 8.11 With the exception of clause 8.10 above, Crowdcube's liability (which shall include Crowdcube’s affiliate or group companies, including Crowdcube Ltd; and directors, officers and employees of Crowdcube Ltd, Crowdcube Capital Ltd and Crowdcube Nominees Ltd and their directors and officers) in contract, tort, negligence, pre-contract or other representations or otherwise arising out of this agreement or the performance of its obligations under this agreement shall be limited in aggregate to the lesser of the total amount invested in the Pitch by Investor on www.crowdcube.com up to the date of the event leading to the claim; or £1,000. 8.12 Crowdcube shall not be liable in contract, tort (including negligence), pre-contract or other representations (other than fraudulent or negligent misrepresentations) or otherwise under this Agreement for: (a) any economic losses (including loss of revenues, profits, contracts, business or anticipated savings); or (b) any special, indirect or consequential losses; whether or not such losses were known to the parties at the commencement of this Agreement. 8.13 Where an Investor invests via a nominee, the nominee company is responsible for the administration of the nominee and trust agreement in accordance with the relevant trust agreement and (save where the nominee is Crowdcube Nominees Limited) neither Crowdcube, nor any subsidiary or holding company of Crowdcube, or any other subsidiary of Crowdcube’s holding company (other than a nominee company where this forms part of Crowdcube’s group) is a party or trustee to the nominee agreement or otherwise responsible for the Investor’s beneficial shareholding via the nominee company or otherwise and is not liable for the actions or inactions of the nominee company or for loss or damage of any nature arising from Investors investment via a nominee. 8.14 Any money or assets held by Crowdcube (or any subsidiary or holding company of Crowdcube) for the Investor shall be held in accordance with all applicable rules set out in the FCA Handbook. Crowdcube’s client money bank account is a non interest bearing bank account. 9.1. Subject to clause 9.2, the Investor may terminate this agreement on 7 days' written notice to Crowdcube. 9.2. If an Investor has an outstanding or incomplete order for investment in any Investee which has not been resolved in accordance with Clause 5.1, the Investor may only terminate this Agreement if they have (i) served written notice by email on Crowdcube; and (ii), has withdrawn his/her order from the ongoing Pitch either via the Pitch, or by responding to the confirmation email confirming his/her withdrawal. 9.3. Once an order has been made firm with an Investee in accordance with this agreement, the Investor has entered into a contract with the Investee direct on such terms as are agreed with the Investee, and Crowdcube shall have no further obligations or involvement in the Investment unless otherwise notified to Investor. and the Investor's use of the Crowdcube platform will be terminated. 9.5. If Crowdcube terminates this agreement in accordance with clause 9.4 whilst the Investor has placed an order that has not been completed by the issue of shares in the relevant Investee, Crowdcube reserves the right to inform the Investee of the termination and take such steps as are necessary to ensure that the Investor's order is not completed. 10.1. This clause applies where the Investor has entered into a binding subscription agreement with the Investee and transferred the applicable Subscription Price ("Pre-Committed Investment") to the Investee prior to the email referred to in clause 5.3 being sent. 10.2.5. acknowledges that the delay between receipt of the Pre-Committed Investment and the issue of shares in respect of such Pre-Committed Investment may prejudice any tax relief to which the Investor may otherwise be entitled and agrees to take professional tax advice as required. 11.1. Should an Investor have any complaints or queries about the services provided by Crowdcube or this agreement, they should contact Crowdcube on 01392 241319 or by writing to Crowdcube at the Innovation Centre, University of Exeter, Rennes Drive, Exeter EX4 4RN. 11.2. Complaints may subsequently be addressed directly to the UK Financial Ombudsman Service - contact details as follows:- 0300 123 9 123 or 0800 023 4567 FREE. 11.3. Investors are treated as customers of Crowdcube and may therefore have the potential to be compensated out of the Financial Services Compensation Scheme in the event that Crowdcube should fail in the conduct of its FCA regulated activities. However, Investors will not be able to claim under the Financial Services Compensation Scheme merely because a Crowdcube investee company fails or does not perform to expectations. 11.4. Communications with, to or from Crowdcube shall be in the English language. No failure or delay by a party to exercise any right or remedy provided under this agreement or by law shall constitute a waiver of that or any other right or remedy, nor shall it preclude or restrict the further exercise of that or any other right or remedy. No single or partial exercise of such right or remedy shall preclude or restrict the further exercise of that or any other right or remedy. 14.1. The provisions of this agreement shall not be assigned, transferred, mortgaged, charged or otherwise encumbered by the Investor without the written consent of Crowdcube. Crowdcube may assign this agreement without restriction subject to compliance with applicable law and regulation. 14.2. No variation of this agreement shall be effective unless it is in writing and signed by the parties (or their authorised representatives). If any clause is deemed invalid or unenforceable, it shall not impact upon the remainder of this agreement which shall remain in force. 15.2. Any notice or communication shall be deemed to have been received if delivered by hand, on signature of a delivery receipt or at the time the notice is left at the proper address, or if sent by email, at 9.00 am on the next working day after transmission, or otherwise at 9.00 am on the second Business Day after posting or at the time recorded by the delivery service. 16.1. This agreement and any dispute or claim arising out of or in connection with it or its subject matter or formation (including non-contractual disputes or claims) shall be governed by and construed in accordance with the law of England and Wales. 16.2. The parties irrevocably agree that the courts of England and Wales shall have exclusive jurisdiction to settle any dispute or claim that arises out of or in connection with this agreement or its subject matter or formation (including non-contractual disputes or claims). (a) This Agreement applies between the Investor and Crowdcube in relation to any investment in a Company involving Crowdcube Nominees Ltd (the “Nominee”) and forms part of the Investor Terms. (b) In this Agreement, the “Company” means an Investee; “Securities” means any security (including any electronic token or other form of digitised asset) issued by the Company and held by the Nominee on behalf of the Investors from time to time; and “Investors” means the investors in any Company from time to time in accordance with the Investor Terms (and “Investor” shall be construed accordingly). (c) Expressions defined in the Investor Terms have the same meaning in this Agreement unless expressly provided otherwise. (a) Each Investor appoints Crowdcube with full power and authority to perform the actions as set out in this Agreement and the Investor acknowledges and agrees that it may not instruct the Nominee directly. under any such Company Document and, whether or not the Nominee enters into any Company Document, to take any and all other action relating to the Company and Securities which Crowdcube determines is in the best interests of Investors as a whole, unless expressly provided otherwise in this Agreement. (b) Notwithstanding the provisions of clause 3(a), Crowdcube shall not be required or obligated to enforce any term of a Company Document or take any other action, save where clause 3(c) applies. Crowdcube shall, subject to clause 3(d), use reasonable endeavours to notify the Investors (“Notification”) of the matter which requires a decision to be made by the Investors. Crowdcube shall action any matter which is the subject of a Notification in accordance with the views of the majority of those Investors (measured by the numbers of shares owned beneficially in the relevant Company) that respond to Crowdcube in respect of the relevant Notification within the period specified in the Notification. Any response from an Investor received after the deadline specified in the Notification shall be invalid. (d) There may be circumstances where Crowdcube is not appropriately notified by the Company, or receives insufficient information from the Company, or is otherwise prevented by applicable law to make a Notification under clause 3(c) and the Investor acknowledges and agrees that neither Crowdcube nor its Nominee shall be liable for any such failure to make a Notification. (e) Crowdcube may instruct the Nominee to vote on any resolution on which the Nominee is entitled to vote or give or withhold its consent to any matter where the Nominee’s consent is required, whether following a Notification or otherwise, except where expressly provided otherwise in this Agreement. (f) Crowdcube shall not be obliged to follow the procedure set out in clause 3(c) where it has been notified by the Company that the resolution has already been passed or a decision binding on the Nominee has already been made on the basis of the agreement or disagreement (as the case may be) of the requisite number of the other shareholders of the Company. (g) In the event that the Nominee is obliged to take or refrain from taking any action by any provision of the Company’s articles of association (or equivalent constitutional documents) (“Articles”) or a Corporate Document, Crowdcube may instruct the Nominee to take or refrain from taking that action (as the case may be) without requiring any further authority from Investors. (h) Neither Crowdcube nor the Nominee shall provide the Investor with legal, financial, tax or investment advice in respect of the contents of any Notification or any other matter. (a) If the Nominee is required to enter into any agreement on behalf of the Investor, whether a Corporate Document or otherwise, the Investor agrees to “back to back” all obligations of the Nominee so that the Investor owes the Nominee the same obligations that the Nominee owes under such agreement. (b) Crowdcube shall use reasonable endeavours to send any agreement referred to in clause 4(a) to relevant Investors at least 3 Business Days prior to the proposed date of entry into the agreement. (c) The Investor shall indemnify and keep indemnified Crowdcube, the Nominee and their respective directors, officers, employees, agents and shareholders from and against all claims, actions, proceedings, demands, damages, liabilities, losses, settlements, judgements, costs and expenses (including reasonable legal expenses) which arise out of, directly or indirectly, arising out of or in connection with Crowdcube’s entering into any agreement on behalf of an Investor under clause 4(a). (d) Clause 4(d) shall not apply to the extent that a claim under it results from Crowdcube’s negligence or wilful misconduct. 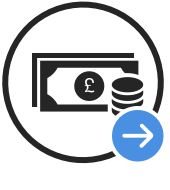 (a) Crowdcube shall account to the Investor for all dividends and other monies which may be paid by a Company from time to time in respect of its Securities, providing the Investor’s entitlement to those monies is greater than £5.00 and the cost of payment does not outweigh the Investor’s entitlement. (c) Crowdcube shall hold any dividends or other monies due to an Investor in accordance with clause 8.14 of the Investor Terms. (iv) Crowdcube may in its absolute discretion allocate any of the Nominee’s Entitlement which is not taken up by the Investors to any person on the same terms as were offered to Investors. (b) Crowdcube may instruct the Nominee to waive pre-emption rights in respect of any transfer or further issue of securities in the Company, where Crowdcube determines, in its absolute discretion, that the waiver of pre-emption rights is in the best interests of Investors (including but not limited to where the offer is so small that the cost of administration of the offer to Investors is disproportionate or where a new material transaction is contingent on such waiver). (ii) Crowdcube may instruct the Nominee to transfer the legal title and procure that the Investor transfers the beneficial title to the Securities and sign all documents and take all actions necessary to affect such transfer. (iii) if the result of the Notification is positive, Crowdcube may then instruct the Nominee to transfer the legal title and procure that the Investor transfers the beneficial title to the Securities and sign all documents and take all actions necessary to effect such transfer. (iv) the transferee is, or immediately on the completion of the transfer becomes, a member of the Crowdcube platform. Any purported transfer of the beneficial title to the Securities by the Investor that is not in accordance with this clause 8(c) shall be void and shall not be recognised by Crowdcube, the Nominee or the Company. not allow a Security Interest to be created or allow a Security Interest to exist over the Securities, including without limitation, conversion rights and rights of pre-emption, on, over or affecting the Securities and not to enter into an agreement or arrangement to give or create any such Security Interest. For the purposes of this clause 9(a)(iv), a “Security Interest” shall mean any option, mortgage, charge (whether fixed or floating), pledge, lien, hypothecation, assignment, security, interest, retention of title or other encumbrance of any kind securing, or any right conferring, a priority of payment in respect of any obligation of any person or a contractual right to shares or to any asset or liability. (b) The Investor represents and warrants on an ongoing basis while the Securities are held by the Nominee that each of the obligations in clause 9(a) above is true at all times. (c) The Investor shall indemnify and keep indemnified Crowdcube, the Nominee and their respective / its directors, officers, employees, agents and shareholders from and against all claims, actions, proceedings, demands, damages, liabilities, losses, settlements, judgements, costs and expenses (including reasonable legal expenses) which arise out of, directly or indirectly, any act or omission of the Investor, any breach of clause 9(a) or any breach of warranty by the Investor in clause 9(b). (b) Crowdcube may from time to time decide that notices may be given by other means (including, without limitation, via an internet-based platform), in which case Crowdcube shall notify the Investor of such decision by email. (c) Crowdcube may determine in its absolute discretion whether or not to circulate a notification it has received from a Company to Investors. (a) Crowdcube may from time to time charge the Investor fees and expenses for providing the services under this Agreement. Any such fees and expenses shall be exclusive of any fees and expenses which are covered by the Investor Terms. (a) Save in respect of the Crowdcube's fraud, negligence or breach, neither Crowdcube nor the Nominee shall have any liability whatsoever to the Investor and, subject to applicable law and regulation, may use any assets it holds on trust to cover any loss, liability, damages, costs and expenses incurred or suffered by Crowdcube in the due performance of its rights and obligations under this Agreement. (b) This Agreement and any dispute or claim arising out of or in connection with it or its subject matter or formation (including non-contractual disputes or claims) shall be governed by and construed in accordance with the law of England and Wales. The courts of England and Wales shall have exclusive jurisdiction to settle any dispute or claim arising out of or in connection with this Agreement or its subject matter or formation (including non-contractual disputes or claims).